Are you an American Company? A: We are a registered US company based out of Dover, Delaware, and our head operation and logistics hub is which serves all markets in Hong Kong. A: To update your account information, log in and click on Account and update any fields as you wish, then press save. A: Easy! When you are on our home page, scroll to the very bottom and you will see a SIGN-UP box prompting you to enter your email address. You are just seconds away from getting exclusive offers and discounts, insider news and the latest eyewear trends. A: If you do not wish to receive our news and exclusive offers, you can unsubscribe any time by clicking the unsubscribe link located on the bottom of the newsletter. How can I become a Glasses Gallery affiliate? A: You are welcome to join our affiliate program, click here to register and get more information. I didn’t receive an order confirmation email. What should I do? A: If you don’t receive a confirmation email within 30 minutes of purchase (check your spam folder as well) being made, please contact us and provide us with your Invoice Number (found under Account after you log in) and we will follow up right away. A: Yes. If you contact us and change / cancel within 2 hours of ordering, we will waive all charges related to returns and exchanges. Please note that if your order has already been shipped, no further changes can be made. A: An email will be sent to you with a tracking number once your order has been shipped. You can also log into your account, then click on My Orders on the Account page to find out your order details. A: After you log in, click on "Account", then click on My Orders. There you will find your Order History. If you have an active order, you can also find the current order details there. When does that 14-day return and exchange period start? A: The period begins upon your receipt of the glasses. This date can be verified by the tracking number which is provided in the email we send out after order placement. What is the strongest prescription you can fill? Do you offer prescription sunglasses or sports glasses? A: We sure do! Most of the sunglasses and sports glasses available at Glasses Gallery are Rx-able. Simply check under “details” on the specific product page to check if that pair is “Rx available”. To know what prescription lenses we offer on the sunglasses of your liking, just click add lenses. Don’t hesitate to contact us and we will happily assist you finding your ideal pair of glasses. Where can i upload my prescription for my order? A: Please click here to upload your prescription details by entering the order number and order email address. Do I need to email my prescription to Glasses Gallery? A: If you have already entered your prescription or uploaded it online, you do not need to e-mail us your prescription. But if you need help to fill out the prescription details on your order, you can contact us and our customer service officers will assist you as soon as possible. A: We kindly advise you to double check your prescription with your certified eye care provider, optometrist or eye doctor for accuracy prior to submission online. For optimal vision, it is always crucial to start with an up-to-date prescription with a clearly stated Validity Date of no more than 1 year old. Correct pupillary distance (PD) measurements are critical for great results, and Glasses Gallery provides online guidance on how to measure your PD . Or, you can use our auto PD measurement tool. I am using the right device as you mentioned, but I still cannot use the Auto PD measurement. What do I do? A: Please make sure that the device that you are using is either linked to or is embedded with a webcam. Please also make sure that you have turned on your webcam. Should the problem persist, please contact us and let us know the issue. What if I entered the wrong prescription measurements? A: Please contact us within 2 hours as we process our orders quickly and clearly mention WRONG PRESCRIPTION in the email subject. Do not forget to include your name, invoice number and new prescription details in your email. Please note that if your order is already in production, an extra charge may be incurred for any changes made. Can I check my prescription online? A: We are unable to do prescription eye exam online for you. You need to obtain a valid prescription by a certified eye care provider, optometrist or eye doctor, but we do have a simple online eye exam screening tool which allows you to do an easy eye screening test before you book your next visit to your eye care provider, optometrist or doctor office. How do I know if my prescription power is correct? A: If you are not sure if your prescription power is right, you can visit your certified eye care provider, optometrist or eye doctor for a comprehensive eye examination. We also remind our customers that their prescription should not be older than one year when order glasses with prescription lenses. Glasses Gallery offers a simple eye screening test online, click here for a quick check to see if your prescription is accurate. We would like to remind you the eye screening text only provides an indication on either: accuracy of the prescription eyewear you are currently using or if you needed prescription eyewear if you are not using any corrective eyewear at the moment. For a more comprehensive eye examination and analysis, please visit your certified eye care provider, optometrist or eye doctor. What happens if my prescription changes after I receive my glasses? A: We accept returns within 14 calendar days after your receipt of purchase. For glasses outside the 14-day return and exchange period and within one year of purchase, we offer new lenses with your most updated prescription at a rate of 50% off the original purchase price. Contact us for further arrangement. What if I don’t have a valid prescription now? A: You can place your frame order first and click the “send later” button after payment. So you take time to visit your certified eye care provider, optometrist or eye doctor for an up to date prescription before sending information to us for production of your lenses. A: No, as your contact lens prescription may differ from your eyeglasses prescription, and using it for glasses could lead to severe discomfort. We need a recent eyeglasses prescription with PD (Pupillary Distance) information (within one year) from your certified eye care provider, optometrist or eye doctor. Where do I upload my prescription? Send an email to our customer service and attach your prescription (remember to inform us of the order number in the subject line). Remember to check your spam folder if you don’t see our reply. What is a pupillary distance (PD) value? A: PD is the measurement (in millimeters) of the distance between the pupils of your eyes. Your PD values can be written as one number, known as binocular PD, if the left and right side have been added together. It may be two numbers (known as monocular PD) if the distance between your eyes and nose differs. E.g. 65 or 32/33. Why is the PD measurement so important? A: Every eyeglasses prescription has an optical center. The optical center of your eyeglass lenses is the part that gives you the best vision, and it should be directly in front of your pupils. Your PD measurement is used to find that ideal optical center and provide you with non-distorted, clear vision. I have two numbers on my prescription for PD. What does that mean? A: PD values are sometimes written as two numbers, known as a monocular PD, which reflects the distance from each respective pupil to the center of the nose bridge. Adding the two monocular PD values together equals to a binocular PD, which is the full distance between the pupils of both eyes in millimeters. However, monocular PD values cannot be reliably achieved by dividing the binocular PD in half. Faces are rarely perfectly symmetrical, and it is common for one eye to be further from the nose bridge than the other. Because Monocular PD values are more precise, they are required for progressive and bifocal lenses. Does PD have to be precise? Actually, the pupillary distance measurement does not have to be 100% precise to be useful, as it can tolerate a fairly small error range. A PD difference of 1mm is not going to cause trouble, in real terms, 2mm is a variance of 1mm to each eye, and would not be noticeable. if you wear glasses with incorrect pupillary distance, you might feel headaches, eye strain and dizziness. So If you do measure your own pupillary distance, it is recommended that you try several attempts to be sure you get a fairly accurate measurement. Furthermore, if your lenses are of low power, small error will not cause uncomfortable feeling. However, with significant variance of 10mm or above, there is a high chance of distorted vision and headache. If your lenses are of higher power, you should pay particular attention to the pupillary distance. Underneath Pupillary Distance (PD), my prescription shows OD and OS. What are those? A: If you have two values underneath the pupillary distance (PD) header, it means your prescription was written using monocular PD. Read more about that here. OD (oculus dexter) refers to your right eye, and OS (oculus sinister) refers to your left eye. What is the PD tolerance for my prescription? A: PD tolerance should not be more than 2mm in total. A: Click here for learn more. Is there any international standard for PD tolerance I can refer to? A: Cylinder (CYL) indicates the amount of lens power for astigmatism. If no number is written down on your prescription in the CYL column, either you have no astigmatism, or your astigmatism is so slight that it is not really necessary to correct it with lenses. A CYL value can be preceded with a minus sign for nearsighted astigmatism or a plus sign for farsighted astigmatism. AXIS refers to the rotation of the cylindrical lens that is defined with a number from 1 to 180 (degrees). If an eyeglass prescription includes cylinder power, it also must include an AXIS value. A: We accept Visa, MasterCard, AMEX, Discover, and PayPal. A: Credit card payments are subject to authorization by the credit card issuers and charged when the order is placed online. If authorization is declined, we are not liable for the non-delivery of any ordered product(s). A: Yes, it's completely safe to make an online purchase from us. Your security is our top priority and we do our best to securely protect your privacy. Even though we have SSL (Secured Socket Layer is a security standard for websites) available on the Glasses Gallery website, we do not store your financial details. All payment processing is handled and processed directly by PayPal who is our payment provider. PayPal is using the latest technology to assure you with full protection. A: All you need to do is to type in your promotion code during check out in the promotion code field. Before you agree to submit your order, you will see the total amount being adjusted. Can I use more than one promotion code at a time? A: Only one promotion code may be used per order. 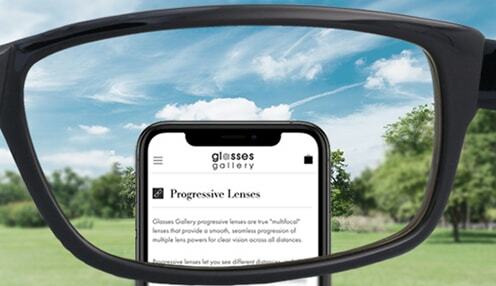 A: If you are having difficulties placing an order on www.glassesgallery.com, please download the latest version of Chrome , Internet Explorer or Firefox web browser. If you continue to experience difficulties, please contact us describe your issue, and we will help you solve the problem. Do I need to pay local taxes, import taxes, etc.? A: All orders shipping to US will not be required to pay tax. If you ship outside of U.S., you may need to pay for local taxes, import taxes, clearance fees and duties etc. Prices stated on www.glassesgallery.com do not include local charges, tax or duties except U.S market. A: You are welcome to request a receipt for your insurance provider to reimburse you after your purchase. Contact us for more information. If I don't like the style of my glasses, sunglasses or sports glasses (with or without prescription), can I get an exchange or refund? A: Our frames and high quality lenses are designed with precision and craftsmanship. If for any reason you are not happy with your glasses you can return or exchange them within 14 calendar days upon receipt of your order. The date of receipt is mentioned in your tracking number and can be found in your order details. To start the exchange or refund procedure, simply go to the order history page from your account page, or let us know. We will return your email upon receipt of your exchanges or returns request, and follow up the process with confirmation of acceptance or denial. Before sending your glasses back to us, please check carefully if you are eligible for a refund. Extra charges may be incurred for return shipping if your refund is declined. Glasses returned for exchange or return must meet the following criteria. Anything else I need to know about making an exchange or return? A: Please note the following. The cost of shipping for your purchases, as well as duties and sales taxes are non-refundable. All refunds are limited to the maximum value of the original order, and can be issued in the following methods. For store credit refunds, you are eligible to receive 100% of the frame’s purchase price (excluding shipping fees). How long will it take to get my exchange or refund? A: We usually process your exchange and refund within 3 business days after the item arrives at our office, but please allow up to 30 business days for the refund to show on your account due to varying processing time between payment providers. Are there any fees for exchanges or returns? There is a lens servicing fee for all purchases with prescription lenses. Len servicing fee schedule is as follows. For store credit refunds, you are eligible to receive 100% of the frame and lens’ purchase price. Are there any limitations for exchanges? A: Every customer is limited to one exchange per purchase within the first 14 calendar days of delivery. If you are not satisfied with the exchanged product received, you can still get a refund. Any charges applicable to the eligible refund will be applied. Do you offer an extended returns policy during the holidays? A: We typically do not offer extended return periods due to holiday clashes. If I need to return multiple products from a single order, what should I do? A: You simply need to pack everything back in one box and make sure the products are in merchantable condition. Please remember to follow all the proper procedures stated in our Terms and Conditions, contact us for more details. Any charges applicable to the eligible refund will be applied. Check carefully for refund eligibility for each frame as extra charges may be incurred for return shipping if your refund is rejected. A: Our return address is as follows. The above address is our main logistics hub that hosts our operation, distribution, warehouse, and customer center for all markets. What happens if my refund is denied? A: Before submitting a refund request, check carefully for refund eligibility as extra cost may be incurred for return shipping if your refund is rejected. Products returned for refund or exchange must meet all the following conditions. If a refund is declined, you will be responsible for the return shipping cost, and will be asked to pay in advance for the return shipping by providing the following along with your return shipping address. If you do not have a PayPal account, a reachable e-mail address for communication purposes. Your glasses will be sent back to the provided return address after your payment has been cleared. A: All frames have a 365-day manufacturer’s warranty. 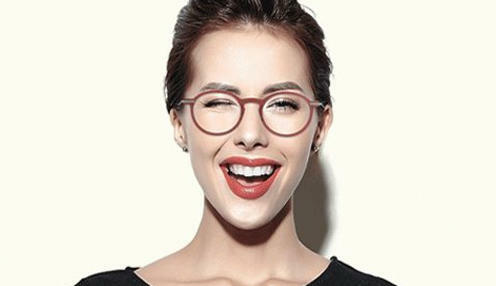 In the unlikely event that your frame or lenses break after the initial 14 days following delivery and within one year of your purchase, we will gladly provide you with a 50% store credit towards another pair of eyeglasses. Your store credit will be in the amount of 50% of the amount paid for the item; this does not include the shipping cost. The coverage does NOT include accidental damage from handling or damage from normal wear and tear. Please note it is the customer's responsibility to return the glasses and provide us with the return shipping tracking information. Furthermore, a picture of the damage to the item is required for the warranty to be activated. For Warranty on products purchased with Free Lens Promotion or a buy one get one free promotion, you are eligible for a store credit amounting to 25% of the subtotal of the product in question. For questions regarding our Return Policy please contact us at return@glassesgallery.com. A: We do not offer shipping to Canada. Our Canadian visitors should visit our Canadian affiliate site www.glassesgallery.ca for purchasing eyewear within Canada, where you have the extra option of choosing store pickup with extended warranty. How long does a Glasses Gallery order take? A: For a frame–only order, it typically takes 2 business days to prepare the order. Production time for prescription glasses depends on the type of lenses ordered. Single vision lenses typically requires 3 to 5 business days, while specialty lenses requires 5 to 7 business days. Please refer to our shipping page for details of countries, fees and shipping times. A: Yes, our current partnering couriers ship to APO and FPO addresses via its standard shipping. Contact us if you need more details. A: Yes, our current partnering couriers ship to Post Office Boxes addresses via its standard shipping. Contact us if you need more details. I live outside of the United States. Do your shipping rates for other countries include import taxes, clearance fees, and duties? 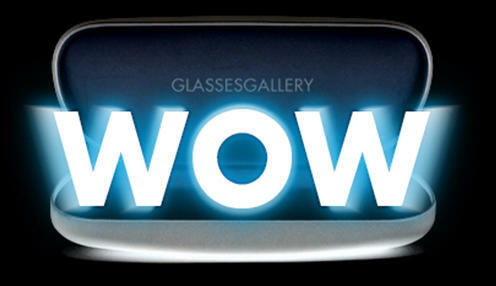 A: All Prices stated on www.glassesgallery.com do not include shipment charges, or any related insurance and tax duties. Currently, only US destinations are exempt from taxes and duties. Please refer to shipping rates table for details of shipping rate. A: That's very nice of you! You can simply enter the person’s address you want to send a gift to in the "delivery address" field while making an order. Do you ship to countries outside of North America? A: Aside from shipping to the United States, we also ship to Australia, New Zealand, Asia, Middle East, all Europe, UK, Scandinavian, and African countries. However, Standard Shipping is only available to selective countries. For details, please refer to our shipping page. If you would like to order glasses online from Glasses Gallery, and cannot see the country where you live on the list, please contact us to check whether we can deliver to your location. Who pays the customs and duties? Do purchases include free shipping? A: Customers with US destinations are eligible for free Express Shipping for orders over $200 (excluding tax). All other customers are eligible for free Standard Shipping for orders over $200 (excluding tax). Please refer to this table for a full list of eligible countries under ‘standard shipping’. When you place an order for both prescription and non-prescription products in one shopping visit at Glasses Gallery, you will receive one single package containing both products. Express delivery is also available for a nominal fee, and your package will arrive much faster. Click here for full shipping rates. What are the advantages of ordering eyewear on Glasses Gallery online? A: Glasses Gallery takes pride in being the destination for exclusive boutique and designer frames at the most competitive price. We also offer top quality prescription lenses that provide unparalleled functionality and safety. Our site features an auto Pupillary Distance (PD) measurement tool to help you gain a critical measurement for prescription lenses exactly when you need it or follow our DIY process to measure your own PD. Customers may “Try On” our frames with 3-D Try On feature. It works like a real time virtual mirror, allowing customers to see how their favorite pair of glasses looks on them. We also feature the widest variety of prescription glasses, sunglasses and sports glasses and pride ourselves on carrying frames which are not commonly found online, for both adults and children. The 3D try-on feature is not working! What do I do? A: Our 3D try on feature current works on Windows, Android devices including PC, tablet and mobile and iOS devices in Safari Browser only. If you are on our supported devices and experiencing problems, please contact our customer service and we will look into the issue for you. I am using the right device as you mentioned, but still cannot use the 3D try-on function. What do I do? A: Please make sure that the device that you are using is either link to or is embedded with a webcam. Please also make sure that you have turned on your webcam. Should the problem persist, please contact us to let us know the issue. Are your branded frames authentic? A: At Glasses Gallery, we only sell original and authentic products. For Lindberg frame owners, every pair is edged with a unique identification number inside its temple. Can I buy prescription sunglasses or sports glasses here? A: Yes! We carry a wide variety of prescription sunglasses and sports glasses. Please visit sunglasses or sport glasses pages to see the full collection. Can I order a specific frame model, color or size but not listed on your site? A: We are happy to help you find the frame that you like! Simply contact us, and provide the frame model, color and size that you are looking for (and a frame image if you have one), then we will look into it for you. However, please note that some designer frames are unavailable for shipping to Asia, Europe and Scandinavian destinations. Brands include Pugnale and Lindberg eyewear. Can I order specific frame parts? A: We aim to be as flexible as possible for our customers, and we encourage you to let us know what parts you are looking for. I see a frame that I like in an optical shop, but you do not carry that model, can you source it for me? A: We pride ourselves as the online destination for eyewear. 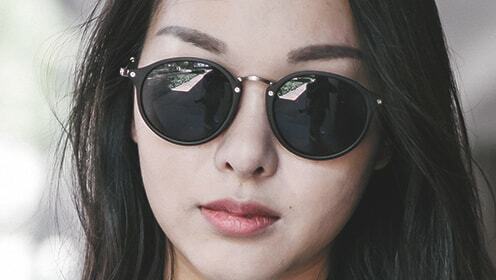 If there is any particular model (search model not brand) of eyeglasses of sunglasses that you are looking for and is not featured at Glasses Gallery, our merchandising team will always be there to source your favorite frames of choice. All you need to do is to provide us with a specific model number. Once we manage to source the frames that you are looking for, with your approval on the quotation, we will send you a direct link from PayPal for payment authorization. Just be reminded that no return or exchange will be accepted for any customized order – for both eyeglasses and sunglasses along with the prescription lenses ordered. Is it possible to buy frames without prescription lenses? 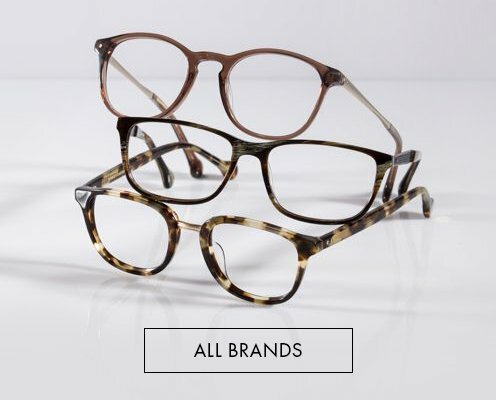 A: Most of the optical eyeglasses featured at glassesgallery.com have to be ‎ordered with prescription lenses, except for some of the Eyeglasses, Sunglasses and Sports Glasses collection, when click on Buy Now button, you can select NON-PRESCRIPTION option and add to cart. What is the difference between titanium and stainless steel frames? A: Titanium is a silver-gray metal that is 3 to 4 times stronger than stainless steel It is tough, lightweight and corrosion-resistant. Titanium frames can be produced in different colors and finished up nicely giving a clean, modern look. Stainless steel frames is scratch resistant, lightweight, and still much stronger as normal steel. Stainless steel is readily available and reasonably priced. Both metals work well for a wide range of frames. Do all your frames come with hinges? A: Most of our frames in our site are with hinges, to be sure you can always ask us to confirm. As a recognized leading lens specialist, we strive to offer a wide array of lenses to cater for our customers' optical needs from all walks of life. Check out our lens function pages for more details. Is it possible to get clear lenses on a sunglass frame? A: Of course! Here are your lens options. Is it possible to change the sunglass tint color to another color that’s not listed at your checkout? How thick will my lenses be? A: Based on your prescription needs, we have tailored the thinnest lens solutions. If you have a strong prescription (i.e. sphere power exceeding -4.00 to +4.00 range), you may want to opt for higher index lenses. Thin Fit lenses - 1.61 index, 25% thinner than standard lenses for an additional $30. Optimal Fit lenses - 1.67 index, 30% thinner than standard lenses for an additional $60. Optimal Fit lenses - 1.74 index, 35% thinner than standard lenses for an additional $100. How is your lens pricing calculated? A: Pricing is based on the different lens package you choose during the add lens process, before adding your glasses to cart. Please note that added lenses costs will incur if you select higher index, other lens functions, progressive or bifocal lenses. Progressive lenses are not available on all sport glasses at this time. What lens function do you offer? A full overview of our lens offerings can be found here. What kind of progressive lenses do you offer? A: Glasses Gallery progressive lenses are developed with design optimization technology. Our progressive lenses provide superior optical, aesthetic qualities and optimum binocular vision at all distance. Glasses Gallery supply the best progressive that offers the highest quality of vision and maximum comfort to our customers. What lens options are there for high prescription wearers? A: We offer mineral glass in 1.8 and 1.9 index for those who are extremely nearsighted. The maximum supported prescription for 1.8 index lens is -20.00, and -24.50 for 1.9 index lens. Due to the inherent weight of the material, the lens will be heavier than plastic lens. The edge thickness is highly dependent on the frame size. We recommend selecting a smaller frame to reduce thickness. What are the standard thickness options for your lenses? What is night vision driving lens? A: Night Vision Driving lens effectively filters glare from streetlights, light reflected off wet pavement, and on-coming traffic headlights. The lens is clear and colorless. What other lens options do you offer other than the ones listed on your website? A: We offer the following lenses as well. The prices listed are additional prices, and further upgrades are available at an additional cost. Do you offer other graphite green Transitions? A: Sorry, we currently only offer Grey and Brown colors for Transitions. blue light filtering coating which is very helpful when working with computers. Transitions adapt to the surrounding light levels by functioning like clear lenses indoors, and sun lenses outdoors. Transitions Drivewear specially made for driving which tints even behind the windshield and cuts glare. Are all of your lenses impact resistant? First, blow off any particles or dust. Then, clean with lukewarm water, and use a nonabrasive neutral detergent to wash away any grease. Lastly, wipe them dry with a soft cotton or microfiber cloth. Do not use paper products, abrasive cleaners, glass cleaners, or other solvents as these may scratch, weaken, or crack the lenses. For sunglasses and sports glasses, make sure not to place sunglasses in the car or anywhere that has a high temperature as your lenses may overheat. Can I just buy lenses from you? A: You can contact us for this special lens services. Please tell us the following information. We shall then come back to you with our best quotation. I am sure you will find fitting lenses at Glasses Gallery make you save a lot. What lens coatings do you offer? Anti-reflective coating enhances vision by reducing reflection and increase the transmission of light. It also helps make thick lenses look thinner. Scratch-resistant coating is a thin film of hard coatings that is put on the surface of plastic lenses to improve its scratch resistance. It is added to protect against damage and prolongs lenses life. Blue light filtering coating blocks the blue light that is emitted by the sun and artificial light sources such as LEDs, computers, and smart phones. The blue light spectrum can be harmful to the eyes, especially the retina. UV coating is used to filter harmful UVA / UVB rays. All Glasses Gallery lenses have UVA / UVB protection. Do you have bifocal or progressive lenses? A: Sure we do! After you pick your favorite frame, you can choose the bifocal or progressive to add the lens function you require, say, clear for daily use, digital block coating for heavy digital device user , Transitions , a pair for indoors and outdoors. For Progressive glasses, you can also add Transitions Drivewear. We offer digital comfort design progressive lenses at Glasses Gallery which allows you easy to adapt to and enjoy the comfort of wearing progressive glasses right at the moment you put it on, but in some cases, you may need a short adaptation time. Can I get my prescription lenses without the coatings or just the Scratch-Resistant Coatings? A: All Glasses Gallery clear lenses come with standard anti-reflective (AR) coatings on both sides of each lens. Please contact us if you do not require the coatings or need just the scratch-resistant coating. 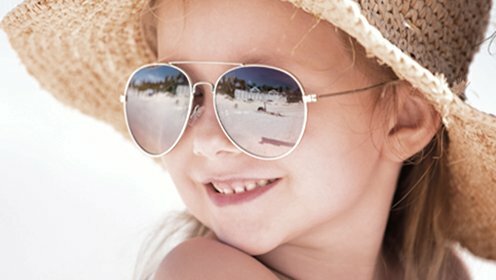 Do Glasses Gallery lenses offer UV protection? A: All Glasses Gallery lenses filter harmful UVA/UVB rays. How do Polarized Lenses work, and how are Glasses Gallery Polarized Lenses different? A: Click here to get the information as it contains a detailed diagram to better illustrate the content. If you need more details, please contact us and we will get back to you. Why are Glasses Gallery's lens products better than others? A: We are a lens manufacturing expert with 28 years of lens production experience. Thanks to this experience, we are able to offer customized solutions for our customers. Glasses Gallery lenses surpasses the strict CE, FDA and ISO 9001:2015 standards with premium materials, high-tech polishing and durable lens coatings. Our ultimate aim is to best take care of your optical needs. We are the go-to destination for designer frames and high performance lenses. Do you accept special lens orders? A: Yes we do! There are a lot of lens materials and type of lenses not listed on our website, and we can tailor your lenses for specific needs. Please contact us for all available lens type, materials and color. Which lens index should I pick? If you are choosing, rimless, half rim, thin-rimmed glasses or larger glasses, we recommend going one index higher than what you would normally pick so the lenses wouldn’t look too thick from the side. Where are your lenses sourced and produced? A: Our lens materials are sourced internationally from reputable suppliers based in US, Australia, Japan, and Korea. Lens crafting and fitting is done in our hub in Hong Kong, which serves to all markets. Do you supply Essilor, Zeiss, Hoya, and Rodenstock lenses? A: Glasses Gallery makes our own lenses and we do not rely on other brands. Our materials are sourced internationally from reputable suppliers. Do you offer polycarbonate (PC) lenses? A: We offer high optical quality plastic regular lenses with various functional yet easy to clean resin that blocks UV, resists impact, scratches, and prevents reflection. They offer all of the benefits of Polycarbonate lenses. We are also glad to confirm that all our lenses prescribed at Glasses Gallery meets all safety requirements set out by the FDA. However, should you wish to use PC lenses for your glasses, please contact us and we will fulfill your request. We are always happy to tailor lenses according to your specific needs and requirements. Can I change my order to PC lenses? A: Yes, you can and at no extra charge. But as a lens specialist, we recommend 1.61 Thin Fit, which comes impact resistant coating (making it 2 times stronger than standard plastic lenses) and offers much better optical quality. Do you offer Trivex lenses? A: Yes, we offer Trivex lens at USD 60. It comes in 1.53 index, and it is the toughest, the best impact resistant and the lightest lens material. For more information, please click here. Glasses Gallery Trivex lens are made from Trilogy from Younger Optic USA. Are Trivex lenses good for high powered prescription? How safe are your lenses? A: Our lens meets all FDA safety requirements, and they are coated with an impact resistant coating layer for extra protection.